The first thing I noticed of Ho Jia Bo? 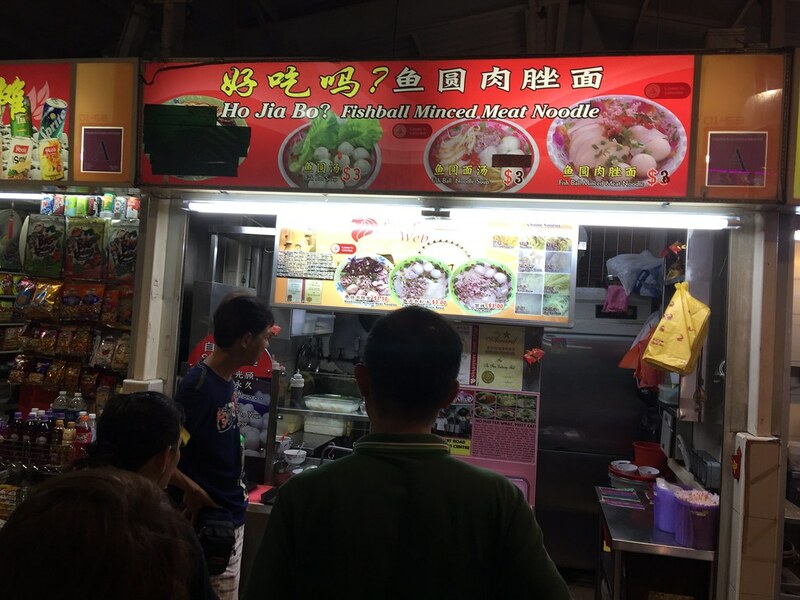 Fishball Minced Meat Noodle at Circuit Road Food Centre is its interesting name. It is like asking their customer, is our noodles good? During my visit, the stall is man by a friendly middle aged lady. She is both the cook and cashier. Hence be prepared to wait for your bowl of noodle. I really appreciate the stall for separating the ingredients from the noodle. 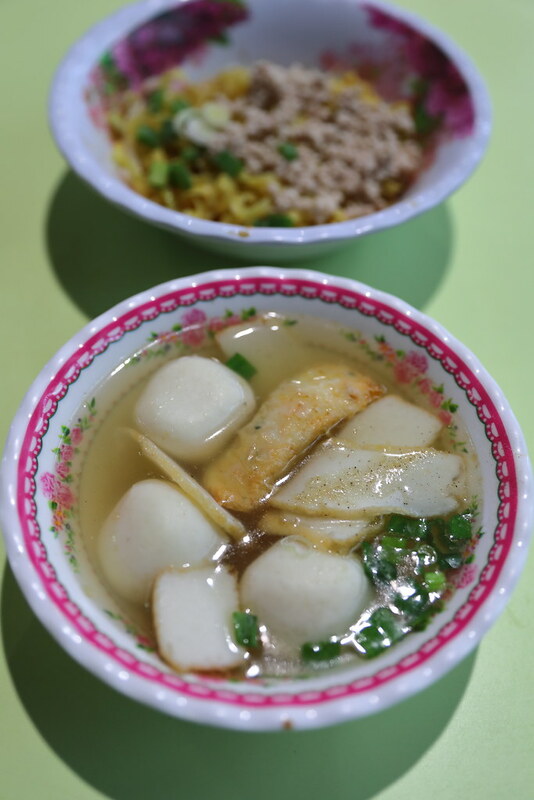 The Fishball Minced Meat Noodle Dry ($3) comes with fishcakes, fishballs and minced pork. The mee pok was cooked to al dente with a springy bite to it. 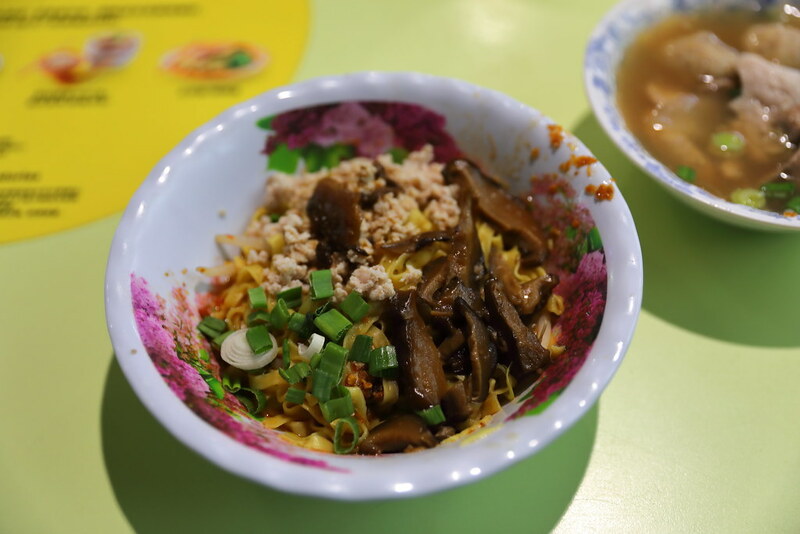 The chilli sauce was tossed with the mee pok unfortunately lacked depth and it probably requires vinegar to boast the whole dimension of the bowl of noodle. 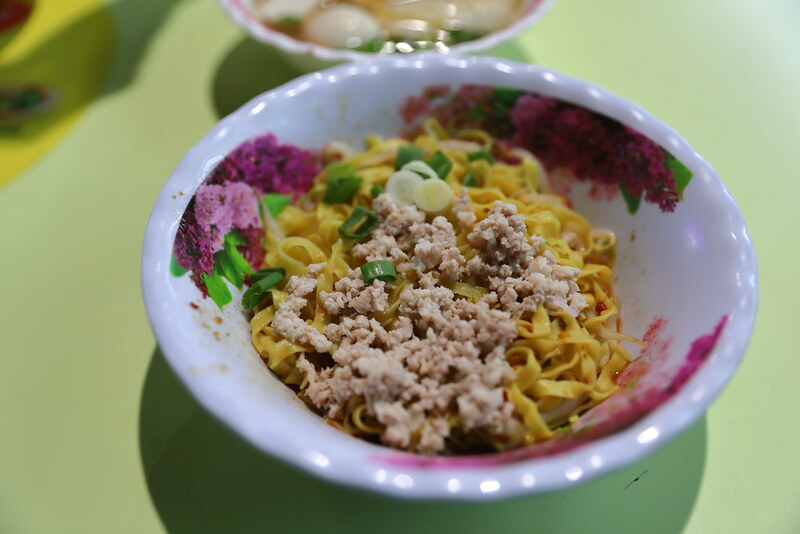 Like the fishball minced meat noodle dry, the Mushroom Minced Meat Noodle Dry ($3.50) comes with the ingredients and noodle served separately. 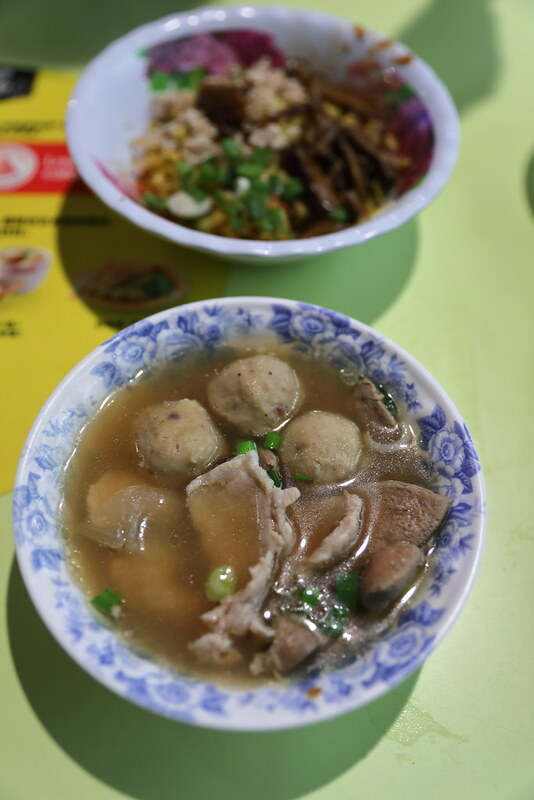 The noodle is topped with minced pork and mushroom while the soup comes with lean pork slices, pig liver and meatballs. I personally preferred this over the fishball minced meat noodle because of the addition of mushroom. Even the soup seemed to taste more delicious, flavoured by the ingredients in it. While I felt that the noodles here probably needed the addition of vinegar to give the bowl of noodle a lift in flavour, I do applaud the generous serving of ingredients that comes with the comforting bowl of noodle for a mere $3-$3.50.